Lincoln County Fair 2010 in North Platte, Neb. Photos by Karen Knisley, Amy McGill, Amy Williams and Jessica Wilson. 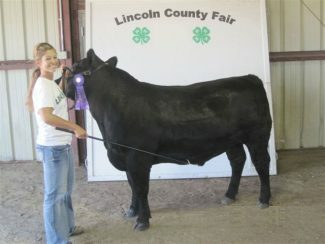 Aspen Shirley with her Grand Champion Angus steer.